SITEC Enterprise Network Services - RLM Communications, Inc.RLM Communications, Inc.
General Dynamics Information Technology is fulfilling the U.S. Special Operations Command’s requirement for Enterprise Network Services. 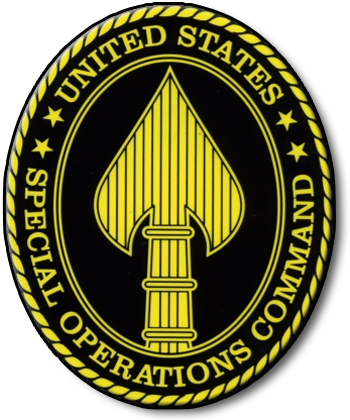 The mission of the United States Special Operations Command (USSOCOM) is to provide fully capable Special Operations Forces to defend the United States and its interests and to plan and synchronize operations against terrorist networks. USSOCOM is responsible for training and equipping all Department of Defense (DoD) Special Operations Forces (SOF) to perform missions anywhere in the world at any time. Specific responsibilities of USSOCOM include developing, acquiring, integrating, fielding, and supporting special operations peculiar equipment, material, supplies and systems and ensuring the interoperability of equipment and forces. Information Technology (IT) is a significant enabler of the USSOCOM mission. The Special Operations Forces (SOF) Information Enterprise (SIE) is USSOCOM’s worldwide IT infrastructure, encompassing all SOF IT assets from the garrison environment, down to the deployed sensor and operator. Over 56,000 users are supported at 49 locations worldwide. Most IT support is focused within the Continental United States (CONUS); however, support is provided globally. Multiple world-wide information networks are supported, including Unclassified and Classified. RLM is a privately owned Service Disabled Veteran Owned Small Business (SDVOSB) certified by the Small Business Administration (SBA). It is owned & operated by Randy L. Moore, a military retiree with both special operations and conventional communications and technology experience. RLM has numerous employees who have served in Federal Government and Department of Defense (DoD) organizations providing support throughout CONUS/OCONUS. Nearly all of our employees have extensive communications backgrounds and highly technical experience on all communications equipment, systems, and auxiliary components used throughout DoD and other Government Agencies. RLM is a small business founded on its ability to provide tactical and strategic communications services and support to our National Command Authority no matter where the requirements exist. © 2019 RLM Communications, Inc.